Home › Announcements › Oregon City Enterprise! Click the “Calendar View” button/calendar icon to browse issues or look for specific issue dates, or use the “Search” page to do a keyword search. Established in 1829, Oregon City was the first city to be incorporated west of the Rocky Mountains, playing a significant role in the history of Oregon and the American West. Not only is Oregon City historically known to mark the end of the Oregon Trail, it was also the birthplace of the very first newspaper to be published in Oregon and on the West Coast – the Oregon Spectator, published in Oregon City from Feb. 5, 1846-March 10, 1855. Located just south of Portland, Oregon City is the home of the Willamette Falls and serves as the county seat of Clackamas County. This new content is available through funding from the Institute of Museum and Library Services and the Oregon State Library with a Library Services and Technology Act grant in partnership with the Oregon City Public Library. 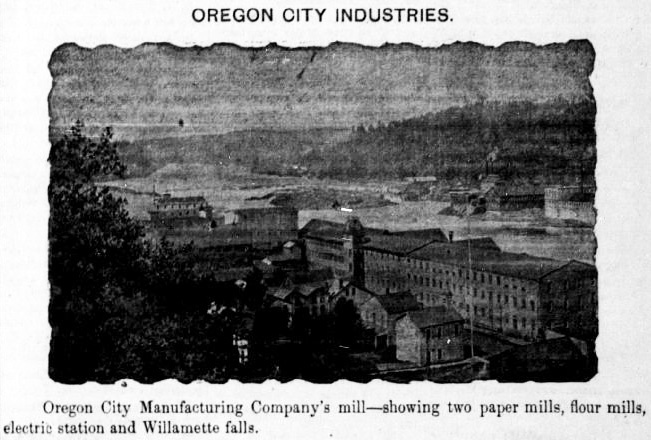 More historic newspaper content from Oregon City will be coming soon, so stay tuned! Happy searching! ‹ Over 92,000 pages added to Historic Oregon Newspapers online!